Filter socks are a critical component in maintaining water quality in aquariums. They remove suspended debris and detritus, which often lead to excess dissolved organics, nitrate, and phosphate when left unchecked. 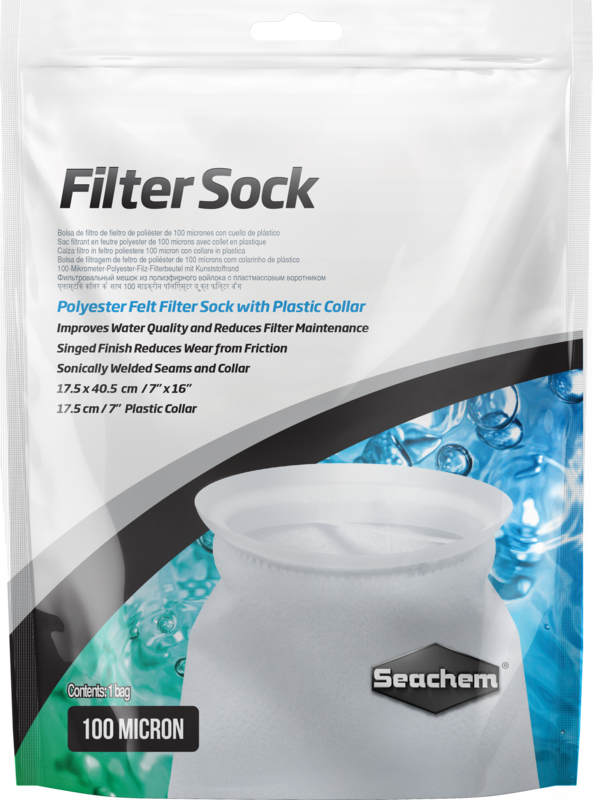 This makes Seachem Filter Socks an integral addition to any sump and overflow system. 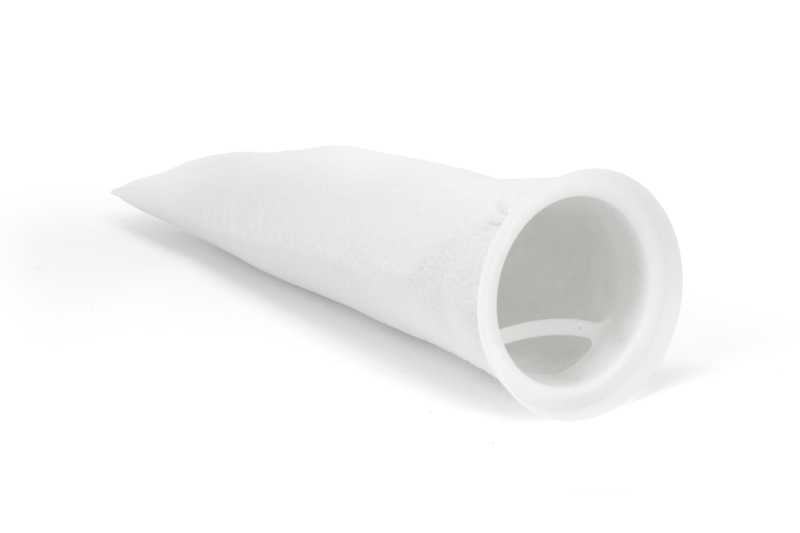 Seachem Filter Socks feature durable, welded seams and have a singed finish, which reduces wear and prevents release of fibers back into the water column. 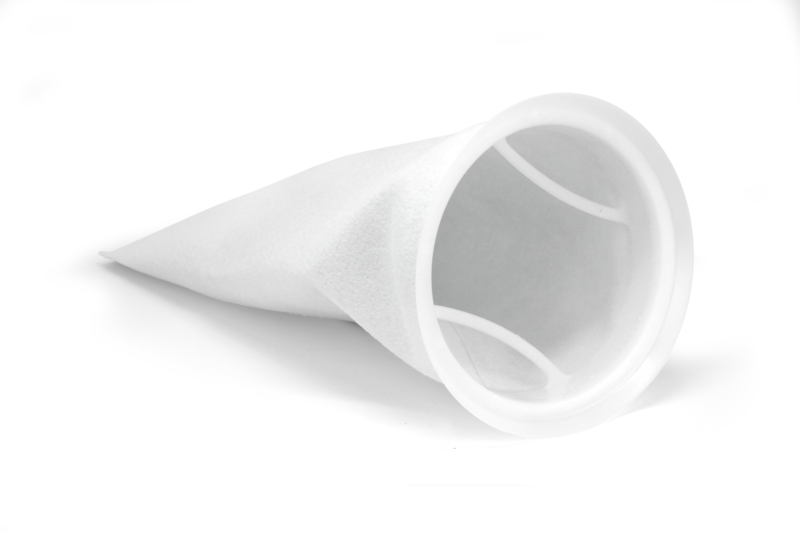 In addition to a 100 micron rating for exceptional particulate removal, they feature welded seams, which, unlike threaded seams of similar products, will not breakdown over time. They have a singed finish, which reduces wear and prevents release of fibers back into the water column. Finally, the plastic collar simplifies installation and easily fits standard sump fittings. Rinse before use. 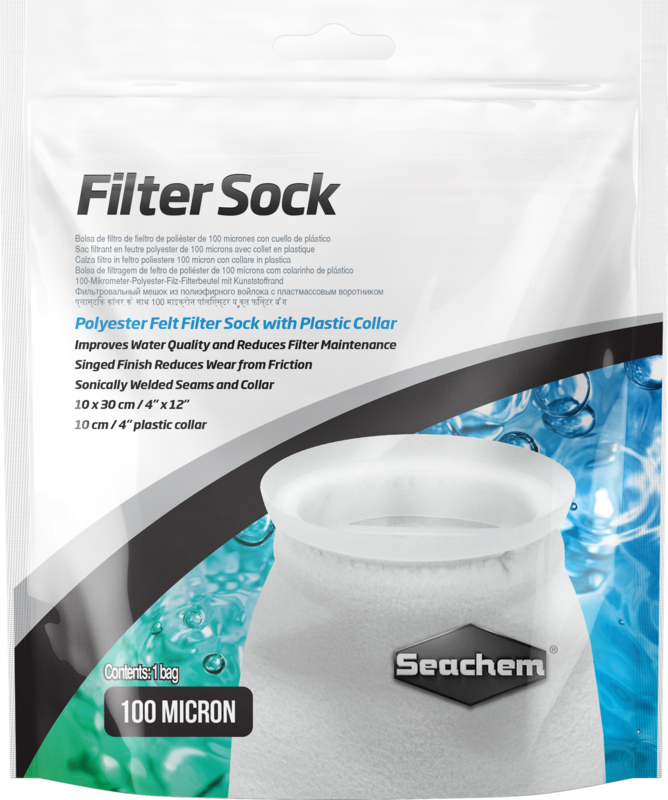 Fit Seachem Filter Sock into any standard sump or overflow system made for collared filter socks. Remove as necessary for cleaning. Under normal use, cleaning can be accomplished by simply rinsing with a high-pressure hose. For more aggressive cleaning, soak in 1:10 solution of bleach and water for 24 hours and then rinse thoroughly with a high-pressure hose. It can also be cleaned in a standard clothes washing machine; wash on a moderate setting with a cup of bleach added to the wash cycle. Once the normal rinse cycle is complete, Seachem Filter Sock is ready for use. 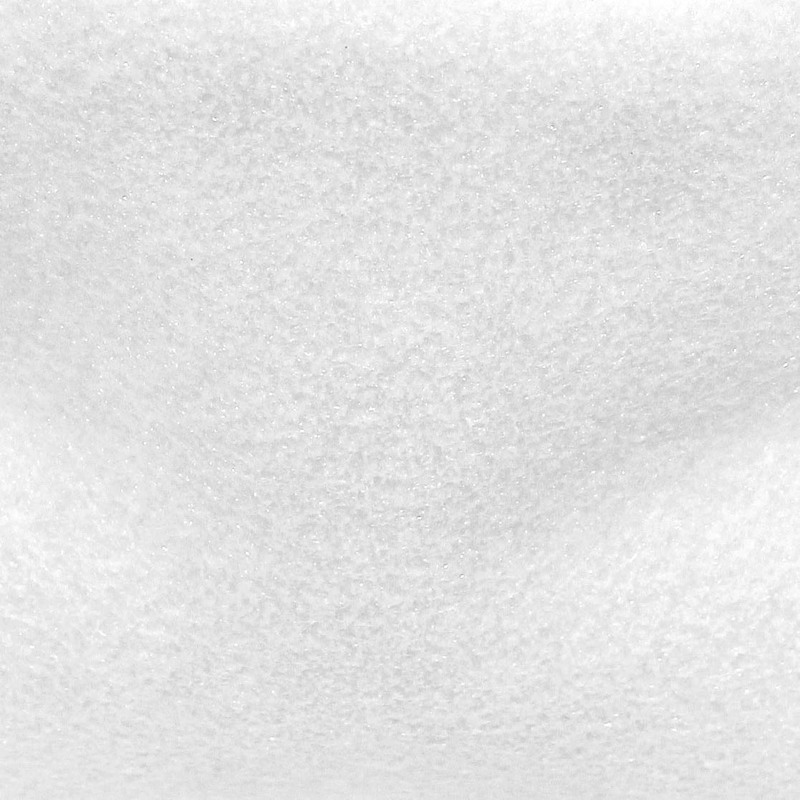 What does 100 micron mean? A: A micron is one millionth of a meter. 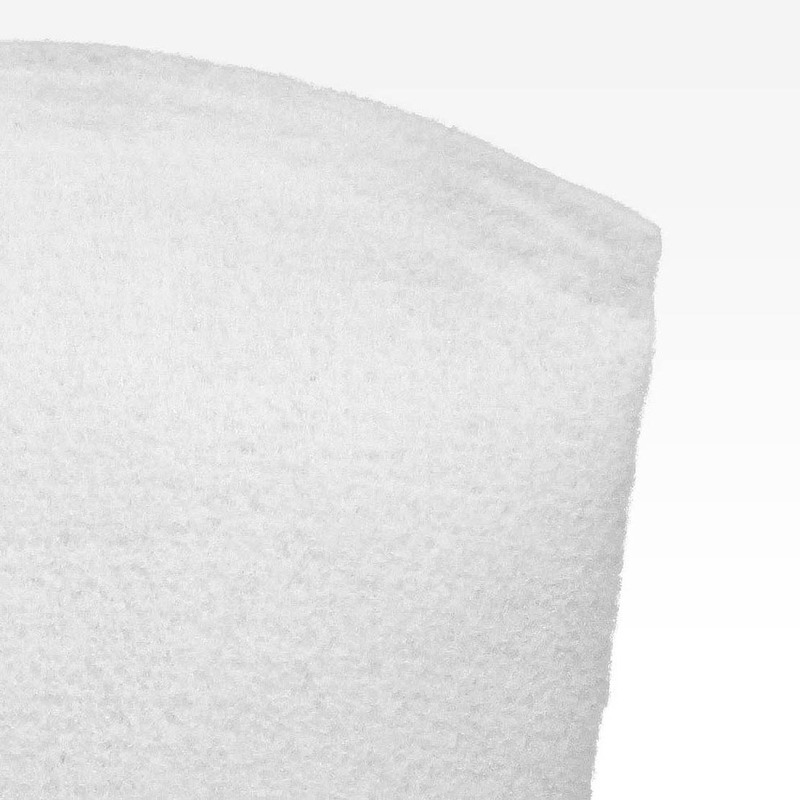 The micron rating on filter socks refers to the size of the mesh of the material. The smaller the rating, the smaller the mesh size. 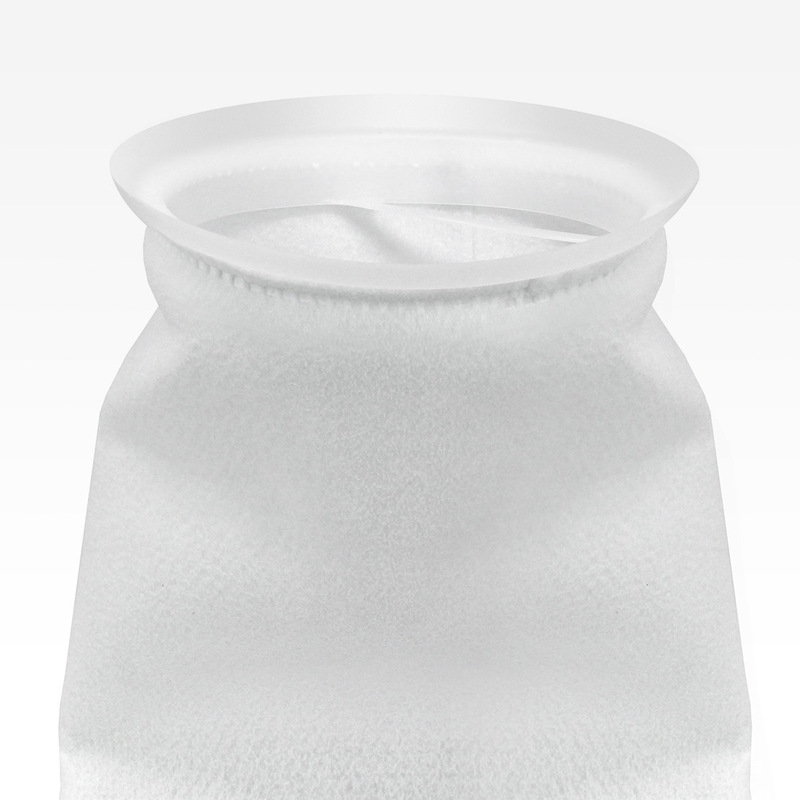 This means that a filter sock with a 100 micron rating has a smaller mesh size than one with a 200 micron rating. 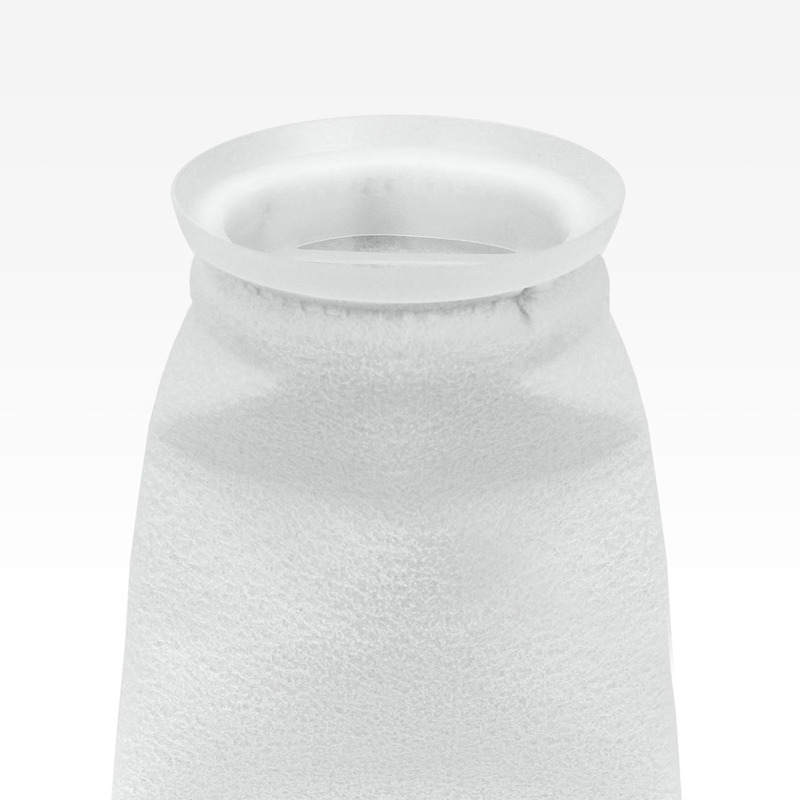 The sock with 100 micron rating will trap smaller particles making it more effective. A: Because Seachem Filter Socks have a 100 micron rating they will trap more debris more quickly that socks with a higher rating. Maintenance will vary depending on the demands of the system, but the best way to determine when cleaning is necessary is once the sock becomes discolored. This could take anywhere from a few days to a week.